Mix together Mexican warmth, something splashy for the kiddies and a special extra in each of our resort choices and you have the makings of a knockout family vacation. 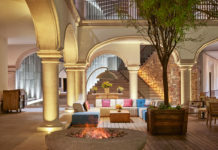 taheima wellness resort & spaIt’s a great twist on the mainstream vacation: The newest all-inclusive resort in Riviera Nayarit promises a holistic, multi-sensory experience with healthy gourmet dining and a full roster of daily activities for young and old. This is an all-suite property—accommodations on the bottom level have private plunge pools—that presents a “wellness passport” to each guest upon arrival with activity suggestions based on their needs. The choices here are enriching, fun and plentiful. There’s yoga, zumba, Pilates and hip hop classes, as well as special activities like chi gong, tai chi and Labyrinth Meditation. The resort’s Wizzards program offers kids workshops in photography, theater, collage, biking, yoga, croquet and golf, as well as cooking lessons. Taheima also has a Learning Center that features classes in pottery and painting, workshops on healthy cooking and nutrition, herbology and spirituality chats, lectures on anti-aging and self-preservation, a “Brain Gym” and a ton of other choices. Clients can choose any number of suites, from a deluxe studio to a 3-story penthouse with full-sized Bosch-equipped kitchen, and each floor of the resort comes with personal butler service. Restaurant menus, from Mexican to Pan-Asian, have been designed by none other than the president of l’Académie Culinaire de France. Additionally, guests get priority privileges at the 18-hole El Tigre Golf Course and its installations. The resort’s introductory offer, good through Dec. 31, starts at $162 pp, per night with a 3-night minimum and comes with a daily massage and a free stay for kids 12 and under. boca de iguanas Just 40 minutes north of Manzanillo, in pretty Costalegre, eco-haven Boca de Iguanas offers an expert combination of modern amenities and jungle chic, with just 10 suites with air conditioning and TV, ensconced in lush surroundings facing the beach plus two beach cabanas—with no TV, air conditioning or phones for those who really want to “rough it”—right on the sand. Regardless of clients’ choice, accommodations are rich in details and Mexican touches: 400-thread-count Egyptian cotton linens, outdoor rain showers, all-natural amenities; some come with hand-woven hammocks and all with outdoor terraces. The resort is known for its attentive and friendly staff, not to mention a very low-key, stress-free and nature-rich vacation experience—ideal for non-fussy clients. The recycling-friendly hideaway is all about going back to basics, with nature letting loose around you and large iguanas enjoying the sun from tree branches. The heart of the resort, in fact, is the mangrove system that thrives through the property and is home to many animal species. Spend the day on a boogie board, rappelling down a 50-ft. natural rock-climbing wall, kayaking along the waterfront or setting up a game of beach soccer—plus there’s that enticing free-form infinity pool. When the sun goes down, there’s always a chance to enjoy a bonfire on the beach, right under the stars. During the winter, guests can help release protected baby sea turtles out to sea. Rates start at $100 per night Oct. 15-Dec. 17; two children 8 and under stay free with their parents. sandos caracol eco resort & spa Clients traveling with kids to the Riviera Maya can’t go wrong at a place that has its own aquatic area with no less than 17 water slides, “raining” palm trees and water spouts throughout. Little ones who are enrolled in the resort’s kids club get daily visits to the Aqua Park under the supervision of the Sandos Animation staff as part of the all-inclusive resort’s offerings. Sandos also has a baby club for 2 to 3-year-olds. The all-inclusive resort is packed with activities for guests of all ages, including a complimentary snorkeling tour of underwater caves and an eco-excursion that uncovers the diverse plant and animal life around the property, including curative trees, cormorants, donkeys and peacocks. Sandos has an onsite veterinarian that cares for the critters. 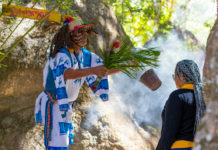 These offerings are part of Sandos Caracol’s commitment to the life surrounding it. 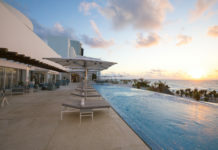 As a result, the resort is well on its way to becoming one of Mexico’s most environmentally conscious properties through various preservation and conservation initiatives, appointing themselves—according to director of sales and marketing Jacques de Paep—“full-fledged allies of the environment.” As such, Sandos involves guests in its efforts through eco-workshops for children, designated wildlife areas, a Mayan Bee Project to preserve beehives and help new ones form, and keeping felines on the property healthy and safe through its Coco’s Cat Rescue. The resort has also established similar programs for marine turtles, iguanas and other animals, and all guests are invited to learn about these initiatives during their stay. 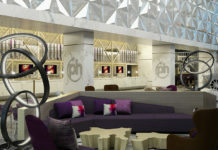 Rates start at $84 pp per night dbl.